In great devotion and honor, I am here in service to Mother Earth and her children supporting ease and grace during the process of our Ascension. Together, we are on a path of healing, transforming and releasing all illusion to fully allow our hearts to shine! My personal path of transformation has led me to a commitment of serving others on their journey of healing and returning home to the truth of wholeness. Engaging in the collective healing process has called me to embody and teach the work of my Spiritual Father, Drunvalo Melchizedek. May I hold your hand as we take the journey within, living in our Hearts, united as One. Emily Karnis received her Awakening the Illuminated Heart® Teacher Certification with Drunvalo Melchizedek's School of Remembering® in April of 2014. She teaches Kundalini Yoga receiving her certification in 2012 with Yogi Bhajan's Kundalini Research Institute. 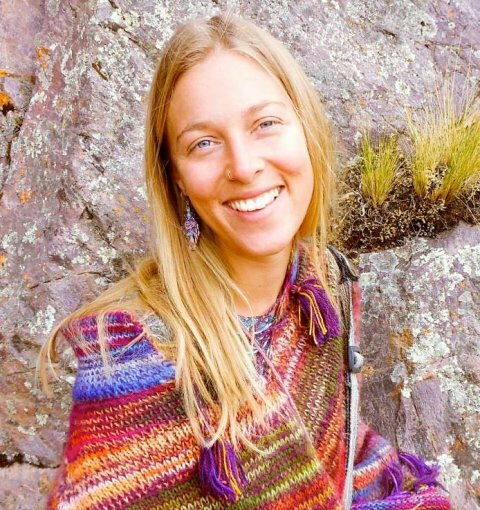 Emily has trained with Michael Harner's Foundation of Shamanic Studies and the Pranic Healing Institute under Master Choa Kok Sui's Pranic and Crystal Healing modalities. She has a BS in Environmental Health from Old Dominion University. ATIH is such a beautiful life changing workshop. When the atmoshere is charged with that much love and energy you need a teacher willing to put their intentions on holding that space and vibration for the group throughout the 4 day span. Also when taking in so much information it was comforting to have a teacher who was light hearted and playful so you could feel comfortable enough to open up and really allow the healing to take place. Thank you Emily, so much LOVE! Emily is a gifted teacher who shares her authentic self with her students. She is very professional and conscientious. Through Emily's connection to her higher self I was able to explore my spiritual connections with myself and the universe. Through her guidance and the workshop exercises I was able to rediscover my love of journeying. I was impressed with the light, love, kindness as well as how professional my teacher Emily Karnis was. Throughout the 4 days of classes, I felt that she gave her best and I am very thankful to her and to the School of Remembering.